Jayenkai released a first version of Roland Eats a Stale Biscuit. Help Roland get all his biscuits from the crazy maze, using only the power of his epic pushing arms. Please test and give feedback as much as you can. This is the first step to get the “A Game A Week” engine closer to perfection with more games to follow to see daylight on the Nintendo 3DS. Jayenkai of A Game A Week fame shows more progress tweaking his AGameAWeek C++ Framework for the Nintendo 3DS. By 29th April there are menus and options on bottom screen, few more things to do. Read more at GBAtemp. Jayenkai of A Game A Week fame shows more progress tweaking his AGameAWeek C++ Framework for the Nintendo 3DS. OMG! OMG! There is sound now… sort of! Read more at GBAtemp. Jayenkai of A Game A Week fame shows more progress tweaking his AGameAWeek C++ Framework for the Nintendo 3DS. Read more at GBAtemp. GodMode9 Explorer by d0k3 is a full access file browser for the Nintendo 3DS console. It gives you access to your SD card, to the FAT partitions inside your SysNAND and EmuNAND and to basically anything else. Among other functionality you can copy, delete, rename files and create folders. You can find the source here. 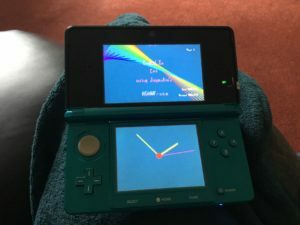 Jayenkai of A Game A Week fame shows some slight progress tweaking his AGameAWeek C++ Framework for the Nintendo 3DS. Read more at GBAtemp. mGBA is a Game Boy Advance emulator written in C. The project started in April 2013 with the goal of being fast enough to run on lower end hardware than other emulators support, without sacrificing accuracy or portability. Even in the initial version, games generally play without problems. It is loosely based on the previous GBA.js emulator, although very little of GBA.js can still be seen in mGBA. Jayenkai of A Game A Week fame is tweaking his AGameAWeek C++ Framework in a way, that it can compile these games for Nintendo 3DS as well. One of the smaller challenges which are still present are fights with the memory limitation. Read more at GBAtemp.